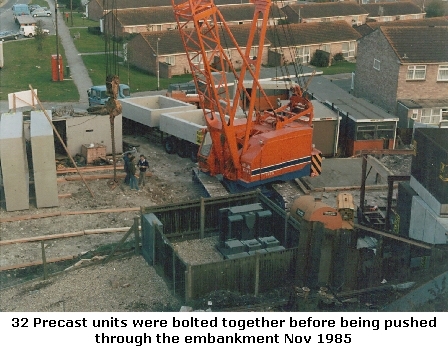 Above the railway line is Regency Drive built on Miss Luckham's chicken fields in 1972; immediately opposite is the telephone exchange which was updated to provide for 600 subscribers in May 1960. 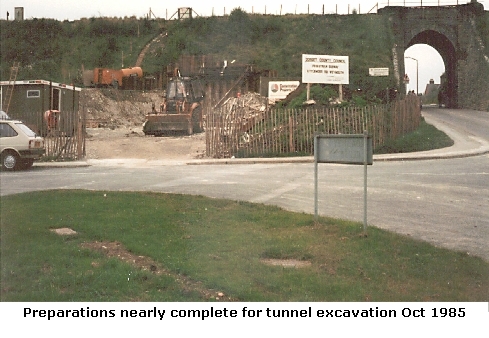 Below the railway line Broadwey Close is under construction. 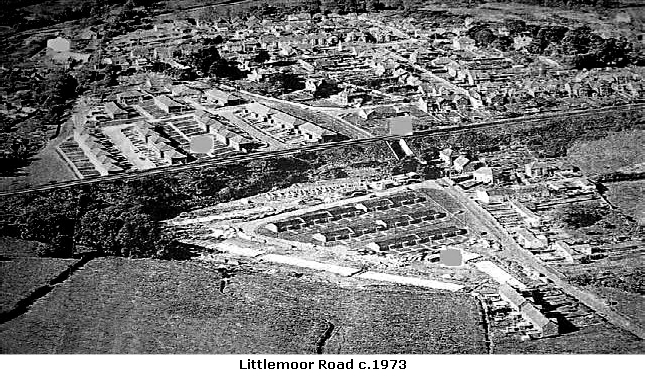 This site was previously the location of Littlemoor Crescent, consisting of pre-fabs as temporary housing immediately after the war, although still home to families in the 1960's. 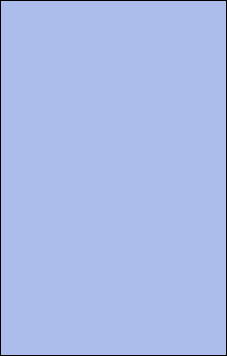 The station was relatively isolated, being surrounded by fields. 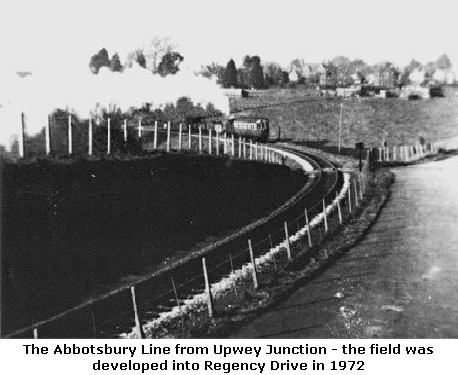 Originally called Upwey Junction because at this point the Abbotsbury line broke away to the west. Local farmers, who sold their milk to the Milk Marketing Board, would take their milk churns to the station each day. The 'milk train' would pull into the Abbotsbury platform to load up and then reverse back onto the main line taking the milk off to London. Other local freight included watercress from Mr Dominey and live chicks (in boxes which tweeted and moved) from Gill's Poultry Farm. 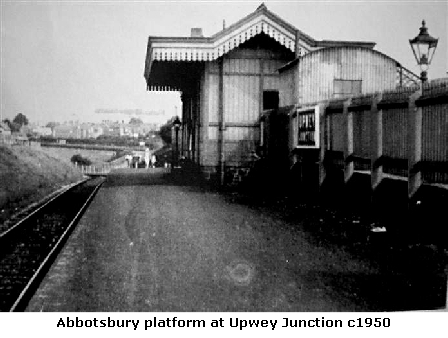 Renamed Upwey & Broadwey Station in 1952, when it lost its staff in March 1965 the buildings quickly deteriorated and were replaced by modern shelters. 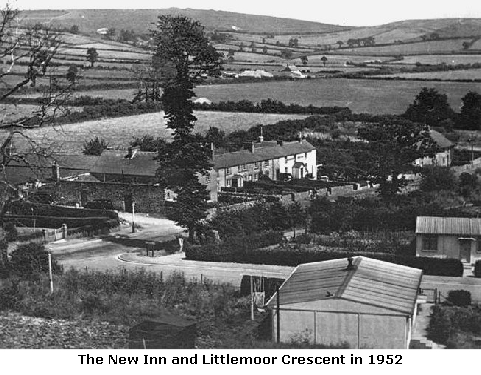 In 1980 permission was granted for houses to be built on allotments below The New Inn (Jordan Way). The railway bridge over Littlemoor Road was not wide enough to accommodate vehicles and pedestrians, so a major engineering project took place between August 1985 and March 1986 when a pedestrian subway was constructed adjacent to the railway bridge.